There are many health benefits to increasing your water intake daily. 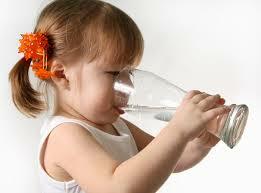 Drinking water helps to maintain the balance of bodily fluids. Your body is made up of over 60% water and so it is vital that you replenish your supplies daily. Water is needed for digestion, circulation, creation of saliva, transportation of nutrients and also maintenance of body temperature. You must ensure that you are properly hydrated in order for these functions to operate correctly. Although water alone will not help you lose weight it does act as a tool to promote and aid weight loss. We often make the mistake of thinking that we are hungry when in fact we are just thirsty. Foods with a higher water content are absorbed more slowly and can help you feel fuller for longer. The next time that you are hungry try drinking a glass of water and waiting 30 minutes. It may well show that you were actually just thirsty. Water and fitness go hand in hand. Water helps to energise the muscles. When the muscles don’t have enough fluids they don’t work as well. It is vital to your workout that you drink enough water while exercising. This will speed up your recovery and also prevent muscle fatigue. Physical performance can suffer if you are not properly hydrated. Water is also essential for you skin and your kidneys. Dehydration makes your skin look dry and wrinkled. This can be improved by proper hydration. The kidneys do an amazing job of cleansing and ridding your body of toxins as long as you are properly hydrated. If you drink too little you may run the risk of kidney stones. Hydration is key for your energy levels and brain function. Your brain is highly influenced by your hydration status. Even mild hydration can impair your brain function. You are more likely to be moody and tired if you are not properly hydrated. Hydration can also affect your concentration levels. Keep yourself properly hydration to increase your productivity.